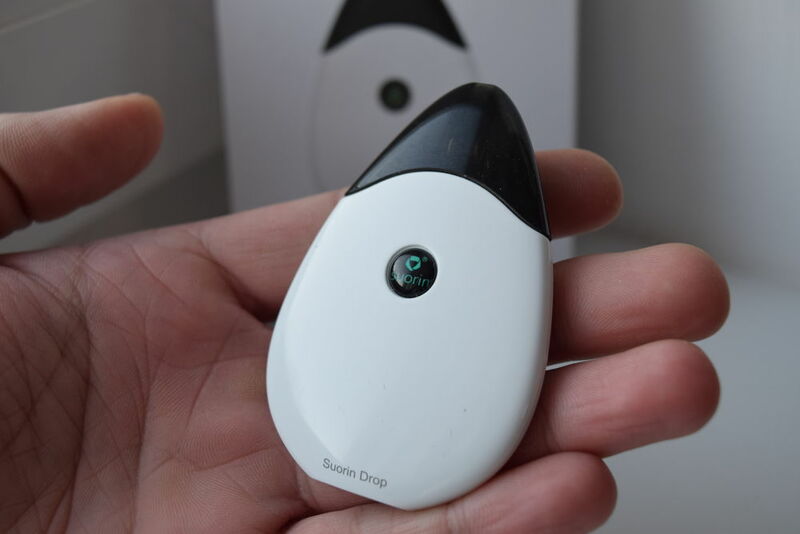 Pod systems are so hot these days that smartphone companies are entering the vaping market just to get a piece of the action. Case in point, Oukitel, a Chinese phone manufacturer with about 20 years of experience in the cellphone business, recently launched its own proprietary vape pod, the Oukitel Nano. Luckily, it’s not just another pod system, but a rather different one featuring a completely different design than we’ve seen recently, and a very solid, high-quality metallic casing. The Oukitel Nano comes in a white cardboard box featuring a picture of the device on the front, and a rather flattering description of it, as well as a list of contents and company information on the back. Inside the packaging, we have the Nano pod system placed in a Styrofoam holder, a spare refillable pod, a micro-USB cable, user manual and a warranty card. 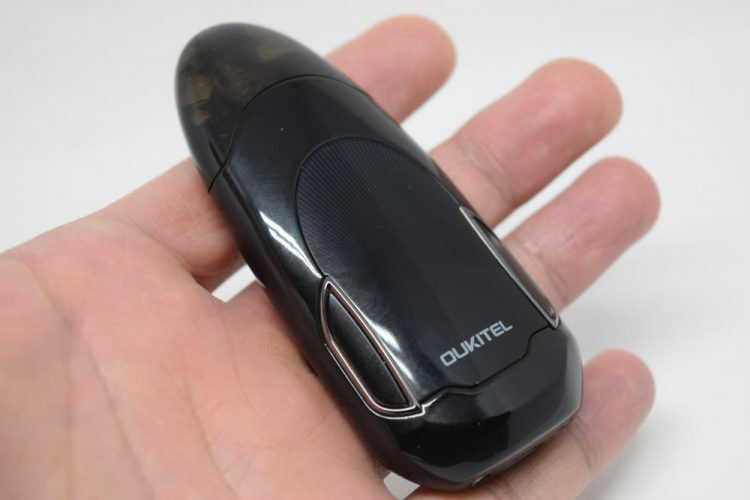 It’s a pretty standard kit, although I will give Oukitel a big thumbs-up for including a second pod, something some companies still don’t do, even though they definitely should. These devices are aimed at beginner vapers, many of which don’t know about stuff like priming their wicks or dry hits, and end up ruining their pods the very first time they use them. Then they’re left with no choice than to buy more pods, and that’s just not fair. 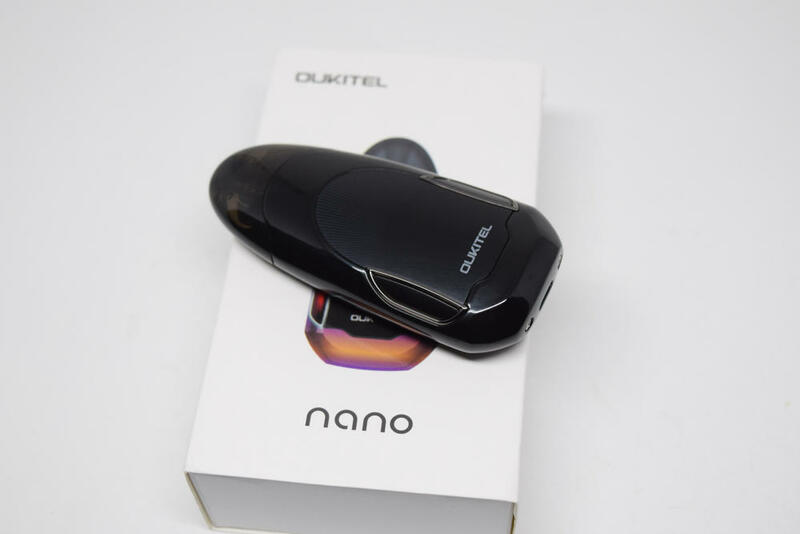 Hate it or love it, you can’t deny that the design of the Oukitel Nano is very different than virtually all other pod systems on the market today. I think it looks like a miniature spaceship, although the Oukitel website state that its shape was inspired by a cobble stone. It’s definitely as heavy as a cobble stone, that’s for sure, which isn’t really characteristic of vape pods in general. From the insanely popular JUUL, to the Augvape Lyfe, pod systems are usually extremely light and compact, but not this one. The Oukitel Nano measures 80mm x 40mm x 18mm and weighs 93 grams, which makes it one of the most robust pod systems available. The hefty feel of this device in the hand might put some people off, but I personally prefer it to the ultra-light, almost cheap feel of some of these modern pods. The Nano actually feels like solid, high-quality device, which is rare for this type of product. That said, it’s still a compact vape, fits perfectly in the hand and is easy to carry around in any size pocket. 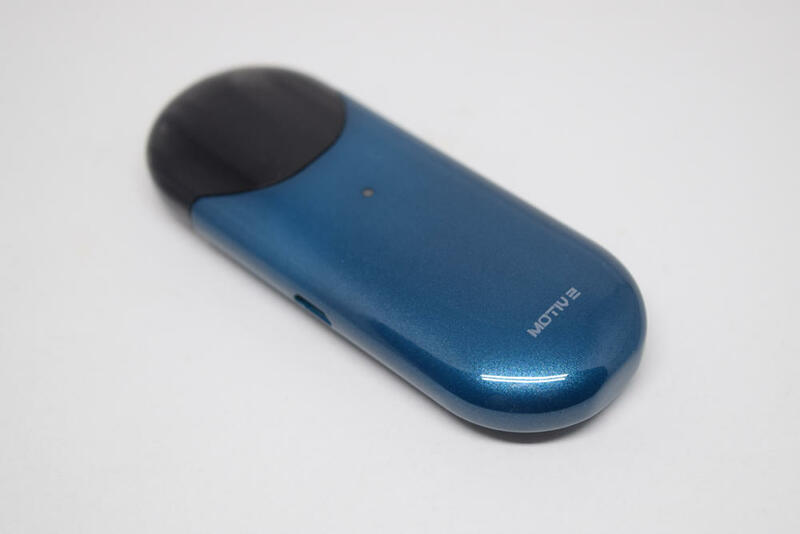 The Nano is available in three different colors – black, red and gradient blue – and has a glossy paint finish, which makes it prone to fingerprint marks. That’s not really a problem with the black version I received for this review, but the stains are likely more visible on the other two. It’s not really a big deal to me, but its something worth keeping in mind, especially if you’re a neat freak. As I mentioned, the Oukitel Nano looks a lot like a spaceship, especially with the two LED lights on the sides, which light up green or red – depending on battery life – every time you vape. It’s a really interesting design for a pod system, and I commend Oukitel for trying something new and fresh. The pods are tinted, but you can still see the juice level inside easily, as they are almost entirely exposed, unlike those of the SMOK Novo or Vladdin RE, which are either covered by opaque mouthpieces or encased in the battery casing. They hold up to 2ml of e-liquid, feature a 1.6Ω coil and are made of a thick plastic which feels almost as solid as the metallic body of the pod system. 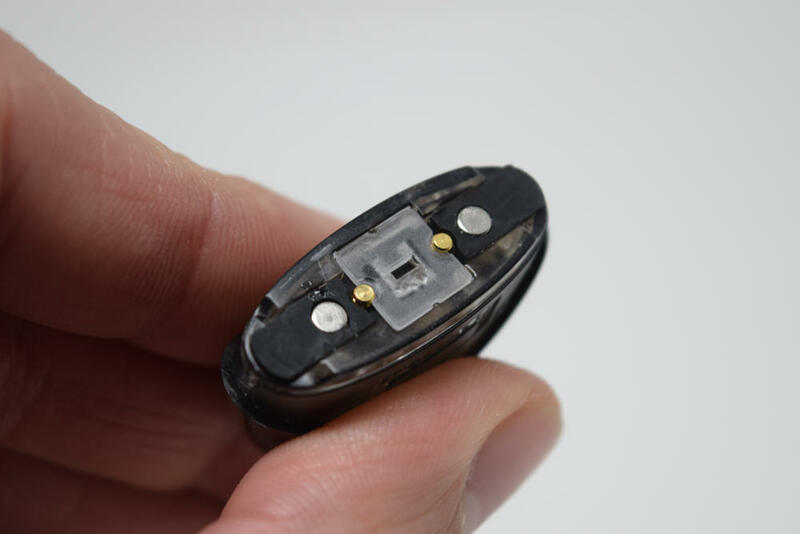 To fill the pods, simply remove the two silicon plugs on the bottom to expose the two large fill ports. I’m a big fan of double fill port pods, as this system prevent pressure from building up inside the pod and flooding the air shaft when filling. Once you’re done, plug the two holes, and slide the pod into the pod system. 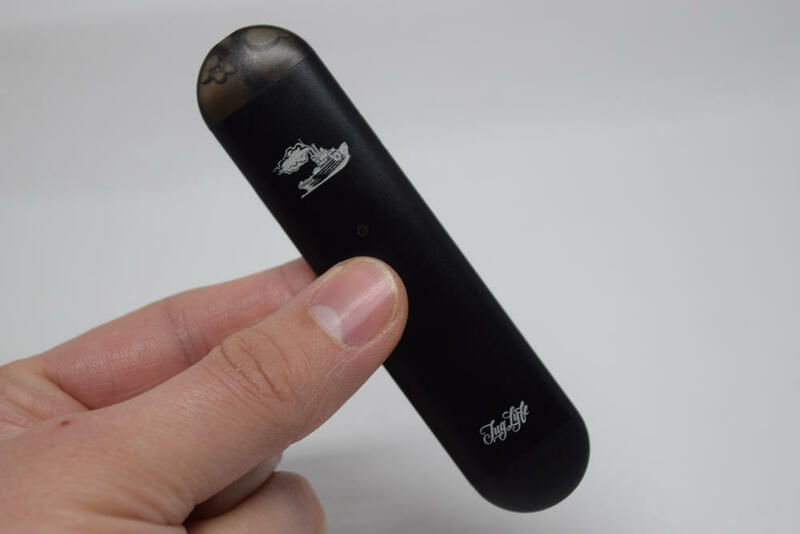 You’ll feel it being pulled inside by the two powerful magnets inside the device, and once it’s firmly attached, you can vape on it. Just be sure to let the pod sit for at least 5 minutes after filling it, to allow the cotton wicking to soak up the juice. The Oukitel Nano features a small built in battery with a capacity of 400mAh. It’s not bad, in fact that’s the most common battery capacity for vape pods, but considering its size and weight, I was expecting a slightly larger battery. Luckily, this device features vape-while-charging technology, so as long as you have a USB port available, you don’t need to worry about your battery running out. It may not sound like a big deal, but some vape pods, like the Mowell Shake, cannot be used while they’re charging. The battery takes about an hour to charge back to full capacity after you get the blinking red lights signal, which is not too bad, considering you can actually use it while it’s charging. The Oukitel Nano not only looks different than most pod systems today, but also vapes differently as well. While most other devices in this category are aimed at fresh ex-smokers and fans of mouth-to-lung (MTL) vaping, who prefer a tight, cigarette-like draw, the Nano has a much looser draw, which makes it more suitable for direct-lung vaping. Granted, it’s not as airy as an RDA, but you can definitely do a more restricted lung hit with it. In fact, that’s the way it’s designed to be used, as MTL draws, while possible, aren’t that easy to do because of how fast air ills your lungs. 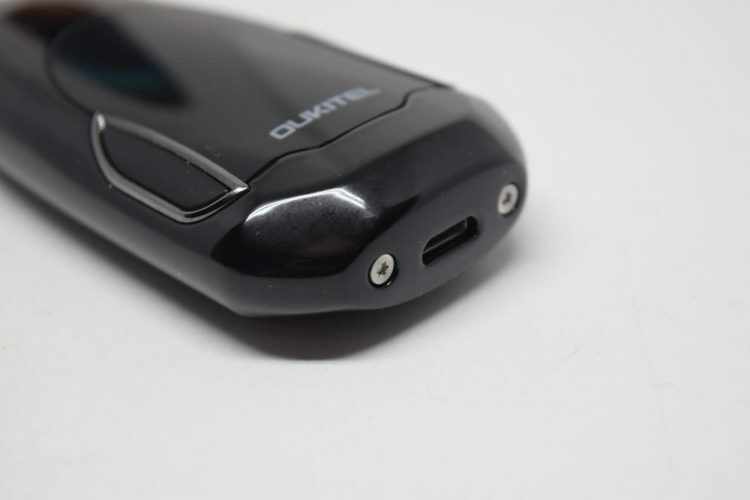 I personally prefer a tighter draw, so I can’t say I’m a big fan of the way the Oukitel Nano vapes, but I don’t hate it either. 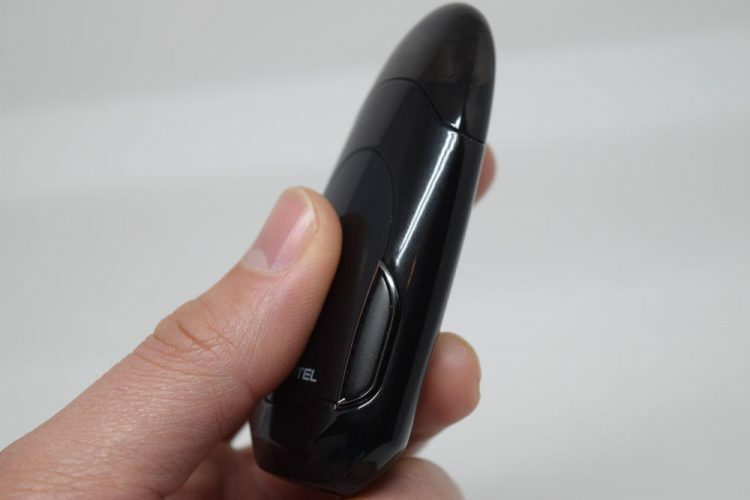 It’s a middle-of-the-road sort of pod system, similar to the Eleaf iWu, although it tends to lean towards direct lung vaping. And that’s ok. There aren’t many such devices around right now, so it may find success with advanced mod users looking for a simpler device. I’ve only been using the Oukitel Nano for four days now, so I don’t really know it performs in the long run, but I haven’t had any issues with it so far. The draw activated switch works well, although I have to point out that it’s not the most sensitive I’ve seen. Because this pod system is primarily designed for restrictive lung hits, the switch doesn’t always activate the battery when attempting softer MTL draws. Leaking hasn’t been a problem either, and the overall performance has been satisfactory. 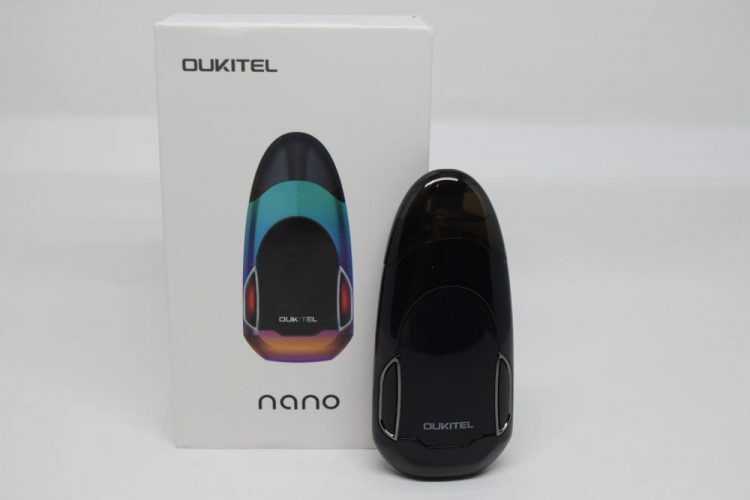 Because of how loose the draw is, the Oukitel Nano produces considerably more vapor than most other vape pods I’ve reviewed in the past, so if that’s something you’re interested it, you won’t be disappointed. Flavor is a bit trickier though. Just like the ones of SMOK Novo, the coils inside the Nano pods need breaking in, so don’t freak out if you get a weird, somewhat chemical taste the first few times you vape it. The taste gets better over time, so just be patient with it. 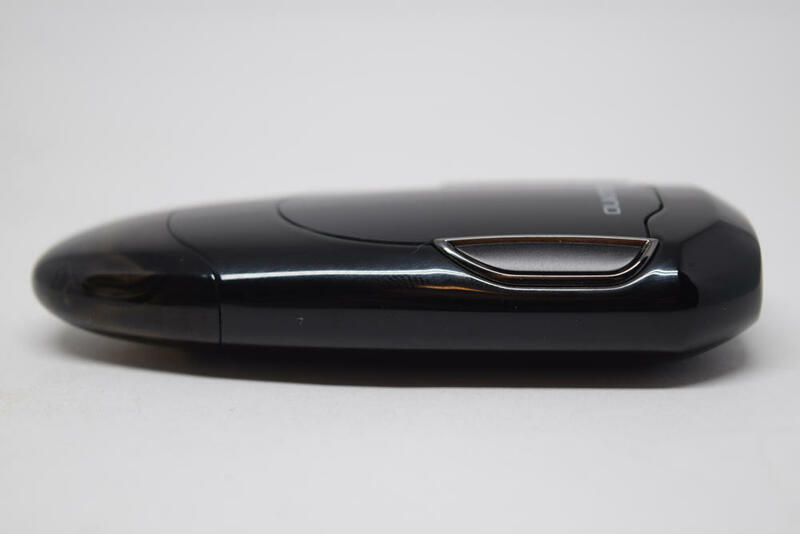 The Oukitel Nano is definitely not your average pod system. It looks different, it feels different in the hand, and it even vapes differently than most of the other such devices I’ve tested din the past. I think that’s a good thing, because we need something new and fresh every once in a while, if only to keep things interesting. I personally am a fan of the design and weighty feel of this device, and I’m sure I’m not the only one. The only thing I’m a bit concerned about is the airy draw, specifically how appealing that will be to the masses. Vapers looking for a restrictive mouth-to-lung draw probably won’t be too impressed with it, but maybe there’s a category of vapers who have been waiting for a direct-lung pod system for a long time. 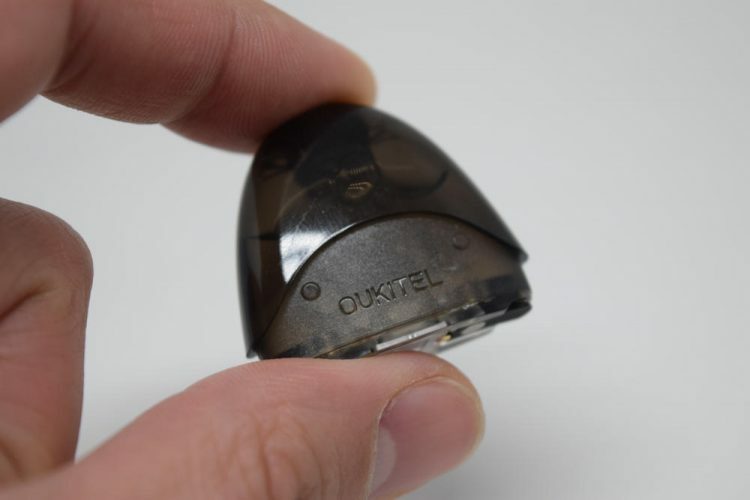 Hopefully we’ll see more devices from Oukitel in the future, because for their first time making a pod system they’ve done a pretty good job with Nano.